By Francisco Ramón Barbarán, (Fulbrighter, Argentina). Between November 21 and 22, 2008 the Long Term Ecological Research Program (LTER) and the Institute of Arctic Biology held a workshop in Venetie (an Athabascan village in interior Alaska with 202 inhabitants according to census 2000), with the purpose of assessing the needs of this community, related to climate change. Given the desire to preserve the culture identity and the need to overcome the bad nutrition condition of many indigenous communities (Bersamin et. al., 2006, 2008; Henry-Stones 2008) I designed a Cultural Preservation Program using digital media and the Internet with the following objectives: 1- To rescue local history and tales. 2- To develop environmental education programs. 3- To improve the feeding behavior to prevent obesity and diabetes. I found a number of publications and web sites with similar objectives in Alaska and the world: research into indigenous communities’ history and knowledge base preservation, interaction with the internet, disease control and increasing survival possibilities, just started in Australia (Australian Research Council, 2008). http://www.babiche.org/about.html hosted by the University of Alaska and the Alaska Native Science Commission produced very useful education material published in books and CD rom as well as scientific analysis about the process of teaching and learning in indigenous communities (Allen, n.d.; Barnhardt, 2001, 2008; Barnhardt and Kawaley 2005; Keim, 1997). However, in these programs usually anthropologists or other scientists interviewed elders, in a few cases community members were trained to do the same job (ANKN-, 2003; Alaska Rural Systemic Initiative –ARSI- and ANKN, 1997). Considering that culture is transmitted to new generations within the family and the community, I designed a method for knowledge preservation within this framework. According to Agnoletti et al. (2007), strategies are essential to ensure integration and continuity of cultural values and policy making and planning for sustainable natural resources management, while specific actions should be specified for the appropriate application of these values in diverse environments. Following that guidelines, and listening to the interventions of locals during the workshop in Venetie, people of that community stated the need to educate their children, because they are losing identity and they want bring it back. A first draft of the cultural preservation program was discussed during three presentations I made in the UAF between November and December 2008, with the participation of different stakeholders who contributed to improve the draft with their ideas and feedback: anthropologists, librarians, native alumni (UAF) and educators, Office of Multicultural Affairs & Diversity (UAF), researchers of different sciences, representatives of Athabasca and Inuit People, social workers and practitioners working in native villages. The main goal of the cultural preservation program is to scan all the families of each village, not only a sample. To achieve that, tape recorders will be left in schools or with tribal councils of different villages with the intention that pupils of primary and high schools take them home and record the knowledge of elders. The children will be given instructions on how to use the tape recorders and collect information. To encourage the participation of the communities in this project, the children of each community in Alaska should understand that the knowledge of elders as well as the current indigenous knowledge of each family is a heritage must be passed on, like a valuable jewel to next generations. This project will provide each child the opportunity to ask their own grandparent or other elders about old stories of their way of life in the past. In addition to stories about the past, children will interview their grandmother to document recipes she used to prepare meals in the past and then their mother, to obtain the recipes she cooks with currently. The children will then e-mail their interviews to the Cultural Preservation Program website where the interviews will be archived. This method of cultural preservation will trigger the process of transmitting knowledge from one generation to the next from the first stage of the project: community members will be interviewed in the privacy of their own family using an inexpensive device, while enjoying family life at the same time. This provides children the opportunity to discover and rescue their own culture. In addition, while they play with the website, they can share their experience with their friends, relatives, the community, and even with other communities depending on privacy issues. Each family and each community will decide to participate or not in the project, if they do, they will be provided with a password. That action will keep in the hands of each family the decision of sharing their knowledge with others or preserve it for themselves while they enjoy the pride to listen their own voices in the Internet. On the other hand, the children will have the opportunity to add information continuously to the website because the tape recorders will not be removed and the web site will be alive forever. Each family will have the opportunity to write its very own history and share it along generations. The web site to be build has to be dynamic and in constant growing and interaction with communities, registering cultural changes and in which way that changing knowledge is being used by each family considering the different challenges they have to face: e.g. climate change and socio – economic changes, overcoming the concept of a web museum of indigenous knowledge. To guarantee the successful incorporation of Indigenous Knowledge as well as the protection of this information, Indigenous People must control the collection and use of this information for resource management (Higgings, 2000). Article 8 (j) of the Convention on Biological Diversity states that arising from the utilization of such knowledge, innovations and practices, provisions shall be made for the equitable sharing of benefits with the holders of this knowledge (Secretariat of the Convention on Biological Diversity, 2003). In a second stage, the information from the interviews and interaction with school teachers under voluntary basis, the program will develop environmental education programs. Videos about trapping, hunting, fishing, and hand crafting skills will be put in the web site with the help and advice of elders. In a third stage, we will make comparisons between the nutrition value of past and current recipes. For better nutrition and successful interventions, we will need to incorporate strategies to improve diet choices, related to both traditional and Western foods. On the website there will be different videos showing the mothers healthy ways to cook foods obtained from subsistence activities. We hope that this will help reduce the levels of obesity and diabetes found in rural communities. At the same time, we will help to implement a work-out program and outdoor activities for the younger generations. With the participation of elders, children can be taught skills needed for successful harvest of ecosystem products and also gain valuable experience. The experience of ARSI and the work of ANKN (1997) in Old Minto Camp is an example that will be taken in account for the implementation of those activities. Before the implementation of this project it will be necessary to better understand the relationship the school children have with their surrounding environment (i.e. plants & animals). In the schools of the villages we will determine the perception children have of local species by having them on a piece of paper write his/her age and grade level and then draw all the wild species known to them, plants and animals. They will also write the use of each species (e.g. food, trade, medicine, nuisance, ritual use, construction material, etc). A diagnostic about the environmental perception of the community is also necessary. Each village will write its own book about their use of wild species. At home the student will ask the usefulness of different species of wild plants and animals or any other elements of the ecosystem deemed as useful. They will draw each species on a sheet of paper writing its name, use and where it can be found, obtaining a description of its habitat. If a plant is drawn, the pupil will then collect a piece of it and make a herbarium so that the species is physically documented and available for teaching activities. Each drawing, habitat description and archived plant will be collected by the teacher and will be made into a book that can be added to as necessary. That method was developed by teacher Claudio Del Basso in 2005, to register the use of wildlife with medicinal use and applied it in the primary school of Alumbre, a remote village of Calchaqui Valley placed in the S.W. of Salta Province, Argentina. 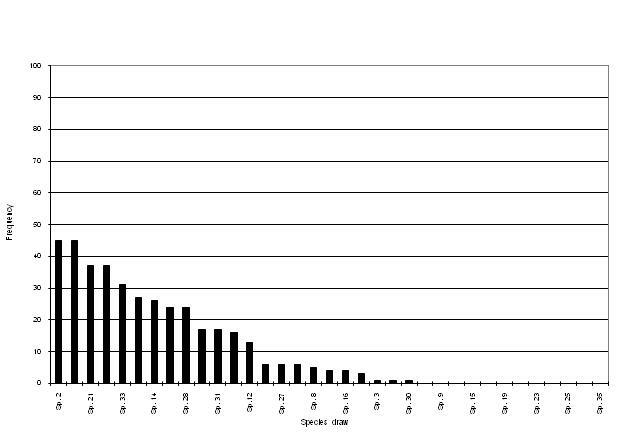 We will measure the perception of the community calculating the frequency of each species drawn and archived. With the information obtained, we will publish scientific articles, books, CDs and videos with our findings, as well as environmental and nutrition education material, like brochures, stickers and posters for schools use, identify new research opportunities and community needs. In order to assess the success of the project, perception measurement activities will be repeated in the schools between two or three years after the implementation of this initiative. The nutritional component of the program will be assessed measuring Body Mass Index of school children, in the same period. The percentage of people involved in trapping, hunting and the economic weight of subsistence activities in local economies will also be measured and monitored as indicators of project failure or success. According to assessment results and dialogs and continuous interaction with the communities, we will make proper corrections to the project and start again. The dialogue with indigenous organizations and tribal councils as well as the capitalization of previous experiences through collaboration, cooperation and coordination with other institutions, research projects and scientists working in cultural preservation, rural education and nutritional health in the study area, is key for the success of this proposal and will be the first task to be done. We have the intention to start with two Athabascan villages working a year to calibrate the method and after that, we’ll apply it in all Alaska. We hope this project provide for the installation of Internet infrastructure in all the villages of the study area as well as the provision of computers for each scholar. Now a day, all the villages of Alaska should have access to Internet. On the other hand, this project is replicable and can be applied in indigenous communities all over the world, building networks that may work interconnected. We are looking for funds to implement this project as soon as possible, if any institution is interested, please contact the author of this article. The main attendants to the workshop (n=18), were mainly elders. Only two young participated, it is an extremely low participation rate, considering that 60 % of the population in that village is under the age of 25, according to census 2000 (USA, 2000). On the other hand, one of the elders attending the workshop claimed that researchers were going in circles, asking the same again and again, making a living using science but without practical solutions to overcome poverty and create jobs. That statement may help to explain the low participation of young people in the workshop: about 34.0% of families and 42.8% of the population in Venetie were below the poverty line, including 52.8% of those under the age of eighteen (USA, 2000). Young Athabascans are emigrating from communities looking for better economic and social opportunities: trapping by rural residents in Interior Alaska has plummeted despite the good prices offered by fur auction houses in Canada and USA. During the trapping season 2008-2009 I detected only three active trappers in Venetie, four in Beaver and four in Arctic Village, with ages between 50 and 75. The trappers interviewed explained that despite the kids start to go trapping with their relatives since they have 10 – 13 years old, they don’t do it under regular basis. In consequence, despite they know how to trap they didn’t developed skills enough to have a good harvest. Patterns and intensity of trapping activity are influenced by equipment and time costs and availability of alternative resources. To invest time in trapping and to learn how to do it may have no sense if is possible to find temporary jobs than can pay U$ 30/hour. At the same time, most of the families receive public assistance, so the men don’t need to go trapping. With the welfare families have their basic needs covered, and for many is the main source of income. If they need they can complement it with subsistence hunting and fishing, otherwise they prefer to do something else with their time. Hunting-harvest societies have a different concept of well being: to be happy for them is the spiritual peace not the accumulation of goods no money. Those cultures don’t have conception about the time nor saving money because they live in a daily basis. If they have what they need and it is enough, why they should go for more? Even considering subsistence activities, is easiest go to the store to buy canned meat than to go for a moose: is necessary to invest in gas, time, physical effort, to suffer the cold and most the times they come back with nothing. The low use of the abundant natural resources may be interpreted as a different way of saving: they will be available to be used during difficult times, while they can use other resources coming from outside the system. The implementation of a Cultural Preservation Program will not solve the poverty problem, but it will create jobs for the locals, and will keep alive tools and skills important in a cash-subsistence mixed economy, as well as the pride to belong to a unique culture. To the stakeholders who participated in the discussion of the cultural preservation program, without them this project would not be possible. To Prof. Terry Chapin, Director of LTER (IAB, UAF) and Inland Northwest Research Alliance, Inc. for financial support for this project. This article is part of postdoctoral research tasks (Fulbright Visiting Scholar), sponsored by CONICET, the Fulbright Commission in Argentina and LTER. I am very thankful too with Drs. Ray Barnhardt (UAF, ANKN), Ana Richards (UAF, Office of Multicultural Affairs & Diversity and Club Hola), Jen Schmidt and Roger Ruess (IAB and LTER, UAF), helped me with their knowledge, kindness and friendship. Alaska Native Knowledge Network (2003) Nutemllaput: our very own. CD Rom. National Science Foundation. Grant 0086194. Allen, J. (n.d) Negotiating pathways to adulthood: social change and indigenous culture in four circumpolar communities. Research project funded by the National Science Foundation. Center for Alaska Native Health Research. Barbarán, F.R. Relevamiento rápido de flora y fauna silvestre en la Reserva Provincial Acambuco (Salta, Argentina) y medidas de mitigación de los impactos ambientales vinculados a estudios de prospección sísmica de yacimientos gasíferos. Para Pan American Energy (BP Amoco). Salta, Argentina. Octubre de 2001. Barnhardt, R. 2008. Creating a place for indigenous knowledge in education: the Alaska Native Knowledge Network in Smith, G. and D. Gruenewald (eds.) Local Diversity: Place-Based Education in the Global Age,., Hillsdale, NJ: Lawrence Erlbaum Associates. Bersamin, A., Luick, B.R., Stern, J.S., Zidenberg-Cherr, S. (2006) Diet quality among Alaska Natives living in the Yukon Kuskokwim River Delta is low: the CANHR pilot Study. Journal of the American Dietetics Association 106 (7), 1055-1063. Secretariat of the Convention on Biological Diversity (2003) Handbook of the Convention on Biological Diversity. Transcontinental Printing; 2nd. edition.